The Santa is amazing and so are you! What wonderful gifts you give to your blogging fans! Thanks for the chance once again. OH PLEASE PLEASE put my name in the hat for this giveaway! I love that Santa!!!! I love this santa, love the colors of his outfit, and the accessories you did with him, wonderful piece. I am glad you took some time to enjoy your vacation, we all need some fun time, once in a while. He's wonderful! Santa at his best! I love him. Hope he comes to live at my house :). Love the Santa! Please enter me in the giveaway. Oh wow, he is amazing. Thank you so much for the contest. You make such wonderful things. The Santa is really cute. Happy Holidays. Olive him Brenda, please enter my name to win him.Hugs Francine. This Santa is so wonderful! Thank you for the chance to win him!! Wonderful Santa. He would be right at home with us. Oh, he is beautiful! Thank you so much for offering this amazing giveaway! I shared on FB! You Sants is cute.This is the first time i seen your blog.Looks like your very talented. Finally although it's the last giveaway,, I am entering. I always think I will come back and comment but forget. Love the Santa, but you already know I love everything you create Brenda. Keeping my fingers crossed. AWW, he's just adorable and I would LOVE to win this guy. I would love to have a Santa to join the snowmen and elf that I have from you! Thank you and have a great week! Having a year end is always bittersweet. It is wonderful to be looking forward to a new year with anticipation. I love your work, follow wherever I can, and wish you a slightly belated Happy Thanksgiving season. I believe in this fabulous Santa, Baby! I love his colors and his curly, curly beard. I would love him and hug him and give him a forever home. : ) Please enter me in your giveaway. I would be honored to own this piece of your work. I don't see my post so I will say it again lol! I am new to your blog but have found it to be the best! In case I win my email addy is vazmami@hotmail.com even though I am now subscribed to you in every forum I am on lol! Best of luck to all! oh, I would really to love this one at my house! Can I be so lucky? don't think so...anyway I love your creations my friend Brenda! Love him, love him..please enter me! You are an amazing artist!!! I love love love the Santa and would be a great addition to my very country holiday collection!!! Have a great holiday season!! Do you sew or want to learn to sew and make dolls, maybe you want to learn to quilt? Learn more as I begin my journey of helping others with the basics. Folkart and Primitives Team: The Joys of Summer "Gifts from Nature"
Sale on all my Dolls on ETSY!!! HELP a family in need! The Funky Farm House Farmer's Market is Open for business!! Sew Raggedies and Prims by Jesse B. IS THIS THE END OF THE STORY? Halloween Jinglesbells BOO!!!! Halloween Jinglesbells BOO!! !Halloween Jinglesbells BOO!!!!! It's The Season of Pumpkin!! 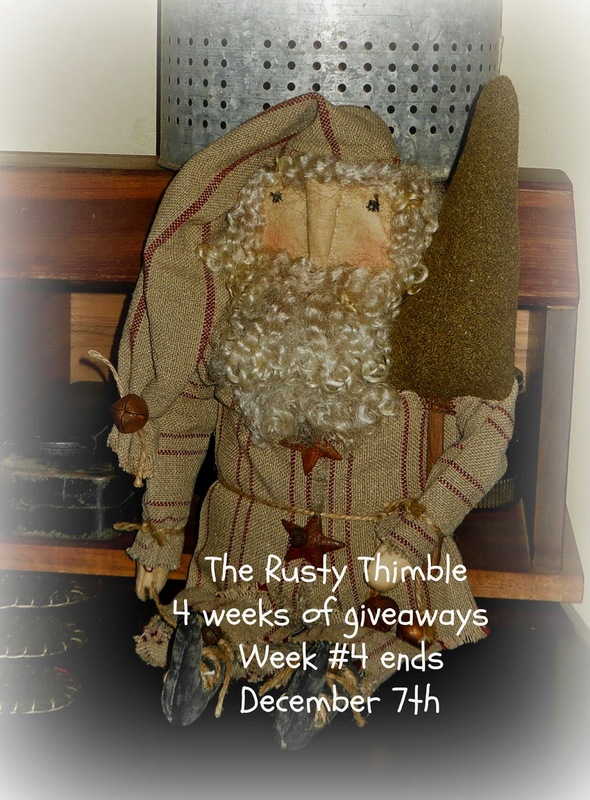 Welcome to Teresa's Primitive Treasures!